Marketplace: how does it work and what are its advantages? The increasing presence of technology in our daily lives brings changes in how we relate to each other and in our habits. The opportunities for interaction and how to do business offer new possibilities, with the availability of platforms, tools and different buying and selling models. One of the models that has become popular among both entrepreneurs and customers is the marketplace model. If you’ve never heard about it, don’t worry. The concept comes from a model that is quite familiar: these are the places where you shop, such as markets, stores, or shopping malls. But now, it’s inserted in digital commerce, which makes the marketplace model an online business tool. With it, you can gather several products and brands in a single place, expanding sales and customer satisfaction. Would you like to learn more about the marketplace model? What is a marketplace model? A marketplace model can be understood as a place to shop, a type of virtual store window that showcases products from several brands or companies to customers. Considering the universe of electronic commerce, this model works as a collaborative e-commerce portal. But there is a difference between them. 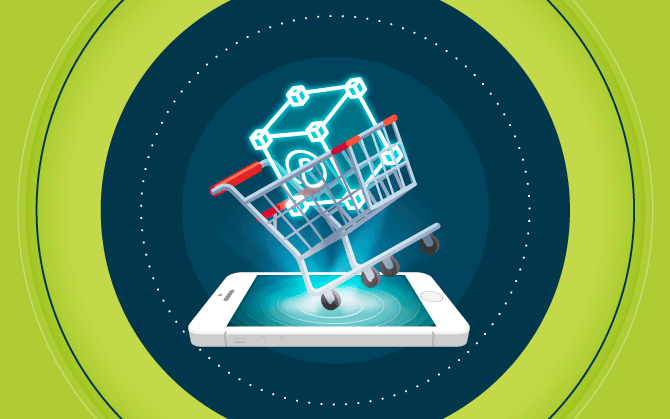 E-commerce can be understood as the virtual store of a certain brand or company. It uses the B2C concept, i.e., Business-to-Consumer, which directly relates customers with the company. Thus, e-commerce is an online store that sells only products of the company itself. A marketplace model, on the other hand, is the gathering of several companies on one platform. The best example to define it is a shopping mall, but in a virtual environment. This model, in addition to putting customers in contact with the products of several stores, also allows business to be conducted between the companies involved, using Business-to-Business and Business-to-Consumer or B2B2C, among others. Customers have access to a diversified catalog and make purchases through a marketplace platform, but it isn’t responsible for the delivery or warranty of the product, which will be the responsibility of the chosen brand. So, there’s an interaction between the customer and the company at the moment of the purchase, and also between the companies themselves in the showcase and platform used. Successful marketplace examples are Amazon, eBay, and AliExpress. A marketplace model may contain diversified products or be targeted to a specific segment, such as electronics, literature or apparel. This will depend on the identification of niches and the openness of the digital medium, with it being a potential online business element. The platform is the intermediary for the transactions. It has two access levels, one for store owners and another for customers. Vendors are like partners who offer their services at the site where they are able to organize the products to be offered, as well as combos or promotions. They are also responsible for the information about their goods and stores, and also for maintaining the efficiency of the sales flow. Vendors are able to identify trends or activities that lead customers to their products, investing increasingly more in effective solutions. For customers, the business works like a traditional virtual store, because its access and purchases are made on the website itself with the difference of taking advantage of a much bigger catalog, where you can compare prices, products, brands and opt for their favorite stores. The marketplace platform operator is responsible for managing these accesses and transactions. And also for the strategic actions that will promote the flow and boost sales on its website. A good platform allows for easy and intuitive browsing and usability both for vendors and buyers. It must also have easy product selection and payment methods, facilitating interaction and the possibilities of purchases. Another important element is the advertising channels. Investing in ads, blogs, videos, email marketing or messages to showcase your business is a good strategy. Managers must study their audience to understand the segment, evaluate actions capable of attracting customers and boost sales. And also those capable of generating customer loyalty. Metrics and tracking contribute to the assessment of the results and the improvement of strategies, and can also be shared with partners at certain levels. Prioritizing quality is what builds a good reputation for the marketplace, establishing authority and credibility to the business, turning it into a benchmark and being advantageous for all those involved. For the three pillars (platform manager, partners, and consumers), the marketplace model is an advantageous business. Especially for small and medium-sized digital entrepreneurs, the platform can be a way to propel themselves in the online market and also ensure access and visibility to their products or services. It’s an exchange and therefore, they can be called partners. While vendors rely on digital marketing and customer attraction actions, entrepreneurs also have the advantage of offering a variety of products and rely on the appeal of the brands to attract consumers. In addition, they rely on a more diverse audience, since the products being offered are varied and there’s the possibility of more purchases being made by the same person. And for the same reason, this convenience is a positive experience for customers. In one place, they can find solutions for many of their needs, with the possibility of making a larger purchase if compared to a specific online store. Making payments easier and the safety of the transactions may also be mentioned as attributes for this business model. Another advantage is the initial low cost. Investments are focused on the platform and sales strategies. But, you don’t need to worry about product production or inventory, and usually, not even with shipping. The marketplace model also allows, as an online platform, monitoring of its development and results. Positioning and your growth can be checked by means of performance indicators, the so-called KPIs. And since it’s a digital business, you can measure and evaluate the actions for these established goals. Digital commerce is growing exponentially in the world. And because of all of these characteristics presented here, the marketplace model continues to stand out. For those who intend to get started in the digital market, this is a trend you need to be aware of. And what about you? What else have you researched about the digital market? Leave us a comment below!